Whatever Your Needs, Canon Has The Large-Format Solution To Make It Work. We have it all no matter your need. 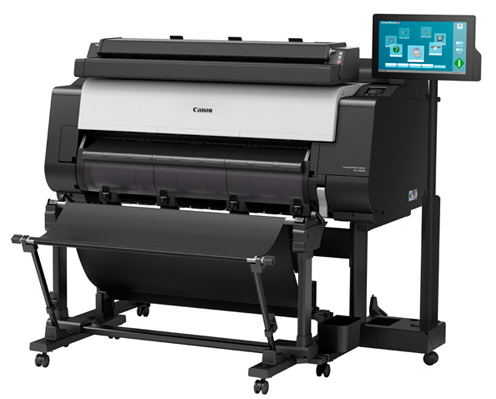 From Photo & Fine Art, Graphic Art & Signage, Engineering & Technical…Even the software solutions for Wide-Format Printers. Today, the line of imagePROGRAF large-format printing is at the forefront of the industry, supported by MSA’s unique customer service solutions and applications. Gain control over your printing environment and manage all aspects of your business printing devices, including printers, scanners, faxes and MFP. From factory-trained service technicians, software specialist, connectivity specialist and Business Technology Consultants we have you covered. No mater you print management needs our experts can help. What makes MSA stand out from the rest? It’s our people. MSA brings decades of work experience to every challenge our clients face, from basic printing solutions to complex network needs. Relying on experience and integrity, our people are the backbone of our operations and help us find answers not just for today’s document management needs, but for tomorrow’s as well.